Located in Pittsburgh, the Heinz History Center is the largest history museum in the state, dedicated to presenting a unique perspective on mid-Atlantic history and inspiring audiences to think broadly about the past, present, and future of the American experience. The museum’s roots date back to an 1879 historical society established by the Old Residents of Pittsburgh and Western Pennsylvania, the oldest cultural institution in the region. Originally open to residents living in the Western Pennsylvania region for more than 50 years, the organization offered lectures and retrospective events to its members and maintained a collection of archival materials of cultural significance to the region. Now known as the Historical Society of Western Pennsylvania, the organization has been in operation for over 135 years, committed to preserving the region’s social history. The society has been responsible for the organization of many of Pittsburgh’s major commemorative events, including its 1955 bicentennial celebration and a 1911 centennial honoring the history of steamboat navigation. A permanent location for the society’s collections was acquired in 1913, after the Carnegie Library of Pittsburgh offered the organization a site on Bigelow Boulevard in the city’s Strip District. A year later, a museum housed inside a newly constructed building was opened at the location. In 1996, the society’s collections were relocated to the renovated Chautauqua Lake Ice Company warehouse, a 275,000-square-foot facility on Smallman Street. The new museum building was named in honor of local resident and United States Senator John Heinz III. Since 2004, the museum has been an affiliate of the Smithsonian Institution. The Heinz History Center features six floors of permanent and rotating exhibits that chronicle the major events and cultural institutions of the Western Pennsylvania region. The two-story Pittsburgh: A Tradition of Innovation exhibit covers 250 years of the area’s contributions to international society, from the works of the indigenous population of Meadowcroft Rockshelter, the oldest-known site of human civilization in North America, through the region’s major industrial, scientific, and pop culture contributions of the 20th century. Diverse inventions and breakthroughs with connections to area residents, including the polio vaccine, the Ferris wheel, and the Big Mac, are highlighted through interactive multimedia displays. Inside the exhibit, the Discovery Place learning space offers hands-on activities for young visitors that foster innovation and creativity. Kids can also enjoy the two-tier Kidsburgh play place, which features a 12-foot slide, an interactive city model, and a recreation of a local deli serving pretend scoops of Isaly’s ice cream. Senator John Heinz: A Western Pennsylvania Legacy honors the life, memory, and enduring legacy of the museum’s namesake. A Pittsburgh native, Heinz was a noted philanthropist and politician, serving in both the United States House of Representatives and United States Senate throughout the 1970s and 1980s. He was killed in a plane crash on April 4, 1991, when his Piper Aerostar transport plane collided with a helicopter and crashed into a Merion Township elementary school. 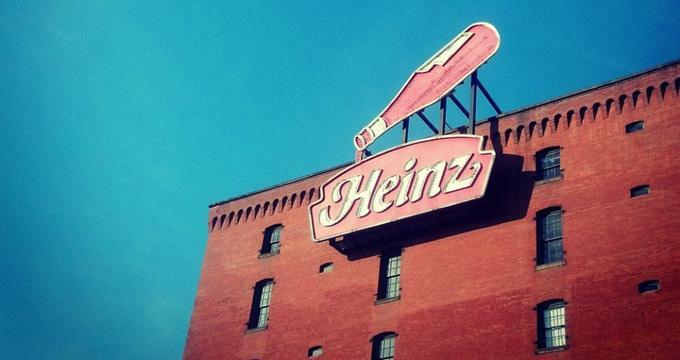 The contributions of the Heinz family are also honored in Heinz 57, detailing the 145-year history of the American ketchup company from its origins in a family garden in Sharpsburg to a worldwide industry selling more than 5,700 products. Two other exhibits, Glass: Shattering Notions and The Prine Collection of Woodworking Planes, showcase Pittsburgh’s history as an industrial hub. Several exhibits chronicle important historical events in the area’s 18th and 19th-century history, including Rediscovering Lewis & Clark, which presents a unique anthropological retracing of the famed explorers’ mission from Pittsburgh to the Pacific, and Clash of Empires, which commemorates the area’s involvement in the French and Indian War. An emphasis on cultural history is found in exhibits such as From Slavery to Freedom, which highlights the struggles and triumphs of local African American residents, including the area’s involvement in the anti-slavery movement and Underground Railroad, and Art of Facts: Uncovering Pittsburgh Stories, which shares narratives of local residents throughout the years through illustrations. The Special Collections Gallery is also home to more than 3,000 local artifacts, including the largest collection of items retained from the original Mister Rogers’ Neighborhood set. In addition to the main exhibits, the History Center and Historical Society also run the Western Pennsylvania Sports Museum, a 20,000-square-foot retrospective of local sporting teams located in the museum’s Smithsonian wing, the Fort Pitt Museum, located in downtown Pittsburgh’s Point State Park, and the living history museum Meadowcroft Rockshelter and Historic Village in Washington County. Founded in 1879, the Detre Library and Archives chronicle more than 250 years of Pittsburgh history. The library is located on the sixth floor of the History Center and houses an extensive collection of books, manuscripts, print materials, photographs, and audiovisual resources. Opened in 2014, the Museum Conservation Center, located behind the museum building, is a nine-story facility that is home to a permanent collection of more than 32,000 artifacts, utilizing Smithsonian-level preservation techniques and educating patrons on conservation techniques for their own heirlooms and collections. The museum is host to the regional level of the National History Day competition, a national initiative for local middle and high schoolers encouraging participants to creatively interpret a historical theme through multimedia exhibits, documentaries, and stage performances. Other major annual events include a bocce tournament and festival, a celebrity golf tournament, and the Vintage Pittsburgh crafts and goods bazaar.